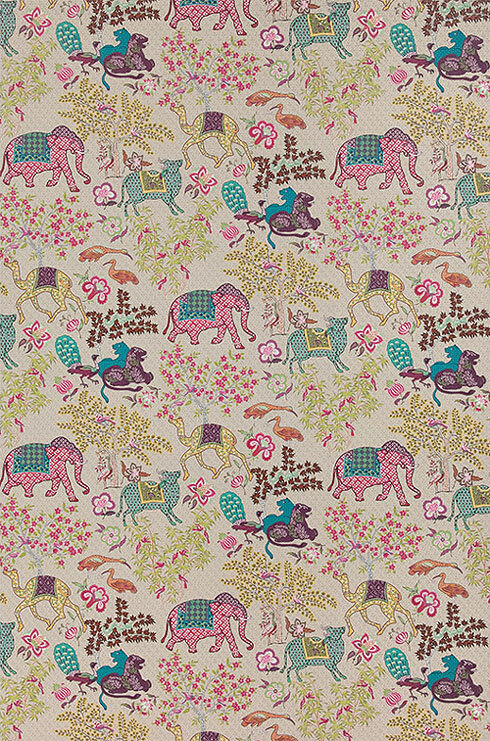 French luxury design house Pierre Frey recently launched their range of India-inspired exquisite wallpapers. 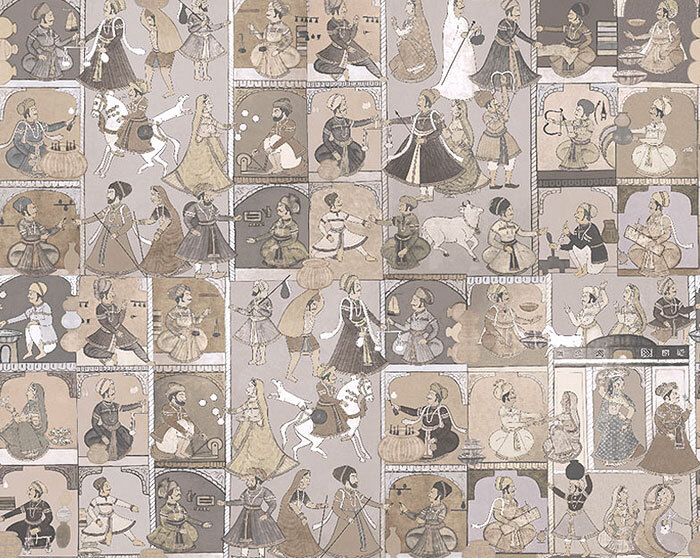 Specifically drawing inspiration from the festival of lights Diwali, these wallpapers are a symbiosis of Indo-French aesthetics and a veritable visual feast—a gift of subtle brilliance for those designer homes. The wallpapers feature panels and paintings from the 19th century, bringing together Persian art and Indian colours in a feast of gloriousness. Pierre Frey has been known to produce exquisite and luxuriant fabrics and wallpapers that draw inspiration from the artistic traditions of countries all over the world—from China to Africa to India. Established in 1935, Pierre Frey is now one of the most respected textile houses in France, associated with several renowned projects including the refurnishing of Ritz Hotel in Paris. And this isn’t their first India association; last year in December boutique store Le Mill hosted an exclusive Pierre Frey pop-up in Mumbai. Incidentally, Le Mill is the only brand to stock Pierre Frey in India. This one is a reproduction of the exotic charm of an archival document from the end of the 19th century. 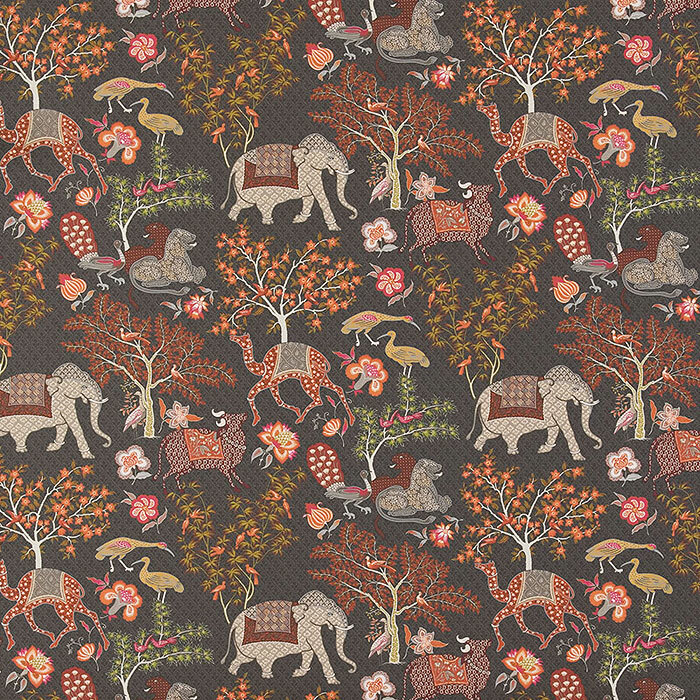 The elephants, camels, lions, peacocks and vividly depicted blooms all evoke Persia’s cultural and natural abundance, and it’s deep links with India. 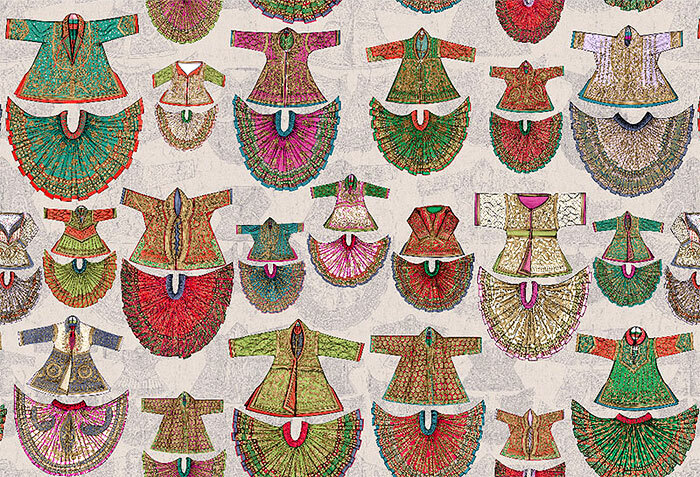 This wallpaper is resplendent with the exuberance of ceremonial costumes from Rajasthan. 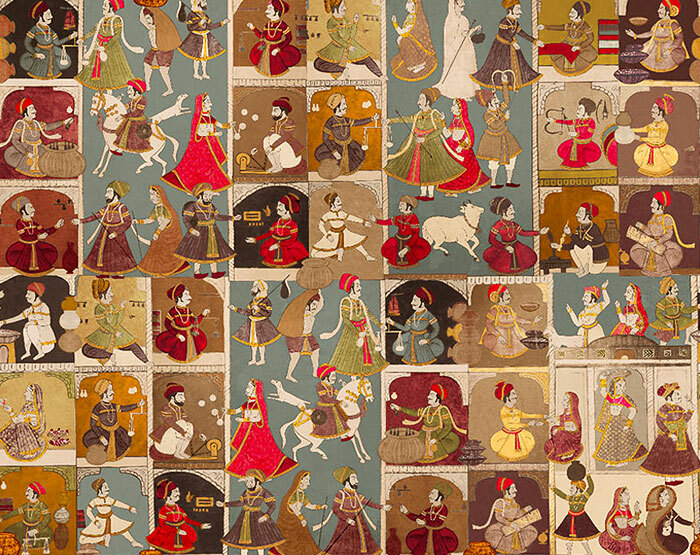 This ensemble of designs were bought from a painter’s workshop located in the historical center of Jaipur to create this print. This print reproduces an artistic discovery of Patrick Frey himself: a painted panel from the end of the 19th century that he chanced upon while in Dallas, America. 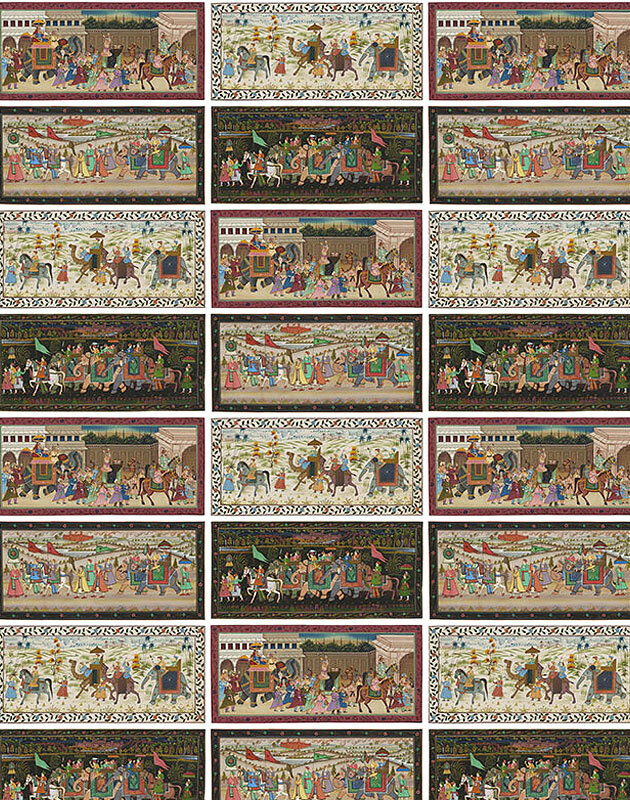 The design is composed of a multitude of traditional, daily or ritual Persian scenes.